Opera is a solid, well built browser that is easy to customize once you become familiar with it. 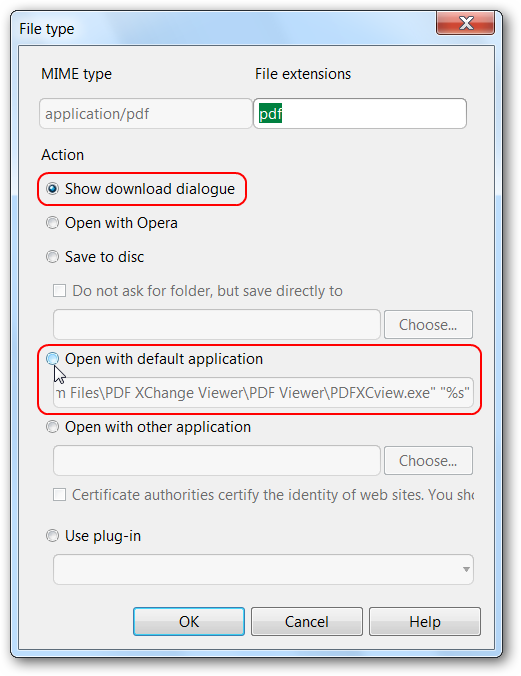 If you want to tweak how Opera handles actions such as viewing images or pdf files without saving them to your computer then here is how to do it. For our first example we chose to view an image by itself without permanently saving it to our hard-drive. As you can see the Open Image command opened the picture in Opera. For most people this is absolutely fine, but what if you want to use a specific photo app on your system to view the image? All that you need to do is tweak the action setting for that file type and all will be well. To access the action settings go to the Main Menu, then Settings, followed by Preferences. When the Preferences Window opens go to the Advanced Tab and click on Downloads. The first thing you will need to do is deselect the Hide file types opened with Opera option. Now you are ready to scroll through the list until you locate the file type that you want to make changes for. In our example the file was a .jpg image. There are three listings showing jpg here, so all three will need to be modified or you may not get the desired result (as found during our tests). Select the desired listing and click Edit to make changes to it. 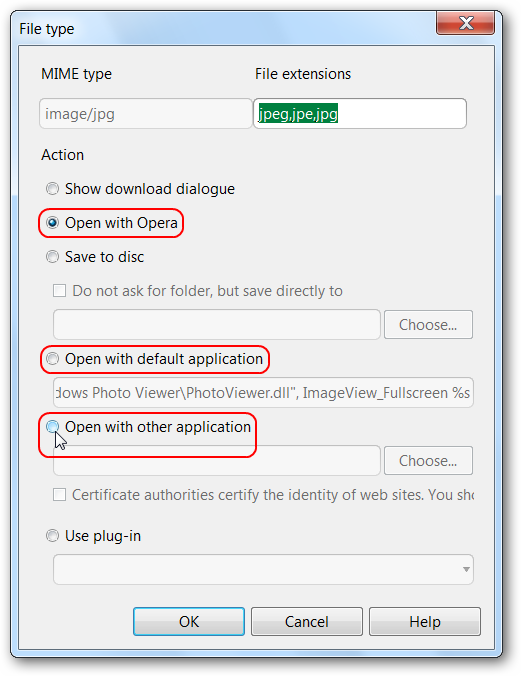 Note: You could do a quick search for the specific file type, but having a good look through the listing is helpful for becoming more familiar with this part of Opera’s settings. 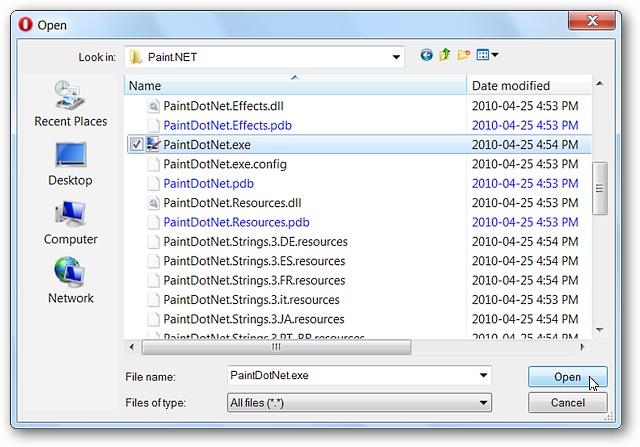 The new window will show the current default action for that particular file type and the options that you can choose from. 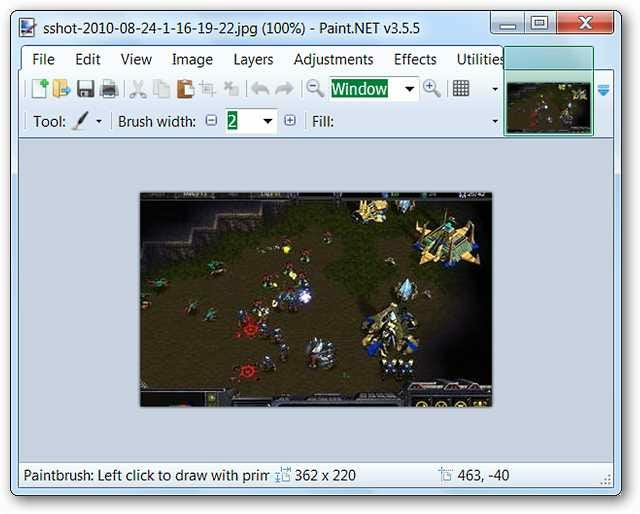 We could have chosen to use Windows Photo Viewer but we specifically wanted Paint.NET. 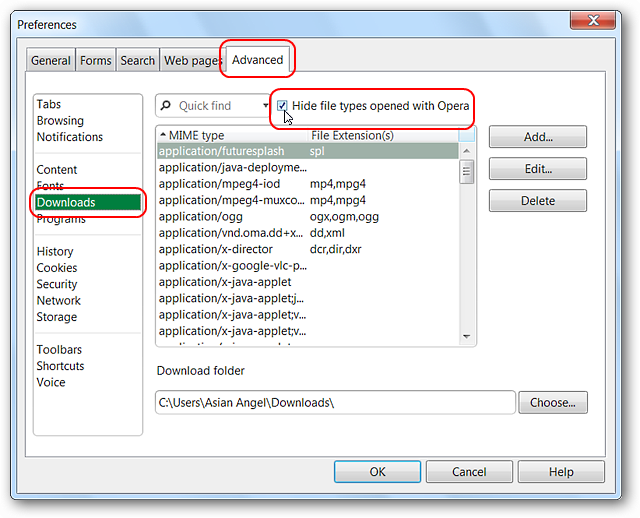 If your favorite software app is not displayed in the Open with default application area, select Open with other application and click on Choose to browse for the exe file. 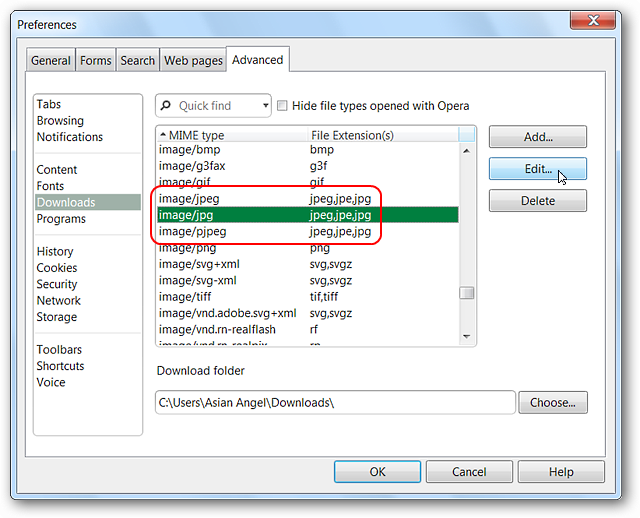 Locate the desired exe file for your favorite app, select it, and click Open. That should have everything set up perfectly. Click OK to finish the change and close out the window. Make certain to click OK when returned to the Preferences Window…clicking on the “X” to close the window will undo all the changes that you have just made. And it opened up perfectly in Paint.NET as desired. We decided to add another example where the default action is a little different. Here we chose to look at the pdf file settings and used the quick search function this time. 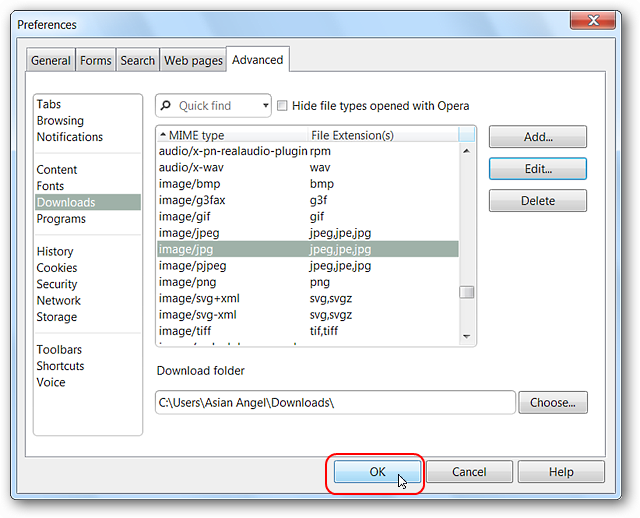 Note: The Hide file types opened with Opera setting automatically re-enables itself each time so make certain to deselect it. This time you can see that the default action is to display a download dialogue. 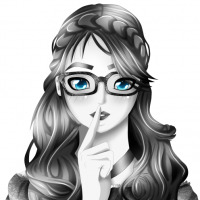 At this point you can choose to leave it as is, have the pdf files open in Opera, go with the default application shown, or choose your favorite. On our system the default application was exactly what we were looking for. Click OK when finished. 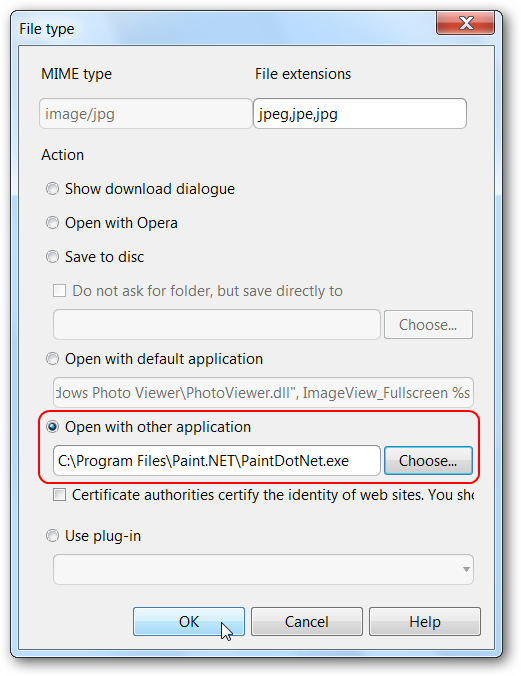 As before make certain to click OK in the Preferences Window so that you do not lose the changes you have made. These kinds of tweaks will help you make Opera even more personalized and convenient in how it performs for you.